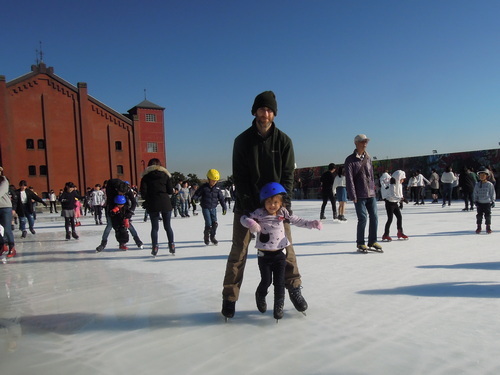 Although I wasnt sure if she would like it or not, we took my daughter to the ice skate rink in Yokohama. 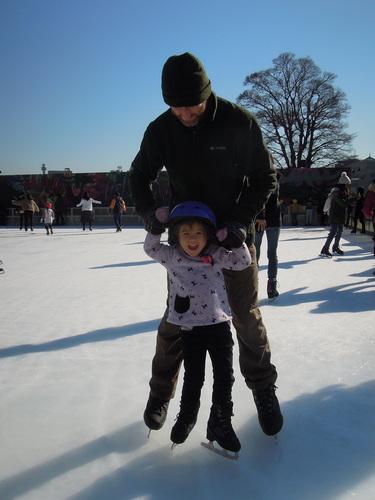 To my surprise, she loved ice skating! She couldnt stand up by herself very well but still really really enjoyed it and is asking to go again.